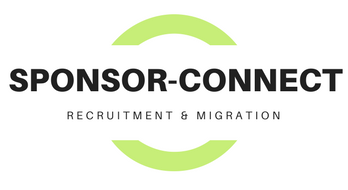 Our premium subscription service is for candidates to fast track sponsor connection. Candidates registered from premium service are 4 times more likely to be connected with an Australian employer sponsor. Johannes from Namibia is a an experienced mechanic of heavy farming equipment. Johannes lodged his resume with Sponsor-Connect seeking sponsor for mechanic or mechanical engineer. Through proactive search by in house recruiters a couple of suitable and eligible sponsors were found in regional NSW. One of the potential sponsors had an immediate need for a heavy farming equipment mechanic owing to skills shortages in the region. A temporary work visa was organised for Johannes and his family and within a few months of working with the employer sponsor, Johannes lodged permanent residence (direct entry) application, for which grant was eventually given to Johannes and his family. This service is a monthly subscription of $25 per month. This can be terminated at any time. NOTE: CLICK ON ‘ONLINE RESUME’ AT BOTTOM OF PAYMENT RECEIPT TO PROCEED TO SUBSCRIBER ONLINE RESUME FORM.